Lottie the Chicken deals with the loss of Aunt Mattie in this gently sad and sweetly funny picture book that explores the death of a loved one, in the tradition of Judith Viorst’s The Tenth Good Thing about Barney. Aunt Mattie has died. But before she went, she got to say good-bye to Lottie. Then she got to follow a light to a bustling gate. (A gate that sounded a lot like a busy airport!) And there she found a crew of friends who were waiting to take off with her on a new journey. "In her latest installment in the "Lottie" picture book series, featuring the likable chicken and her fine-feathered friends, Mathers explores death with a gentle, yet matter-of-fact, straightforwardness. . . . Mathers does not shy away from the gravity of the situation. . . . Mather's simple watercolors, constrained within boxed frames on most pages, serve to focus the emotional impact of the sad events, without overwhelming readers. . . a refreshingly factual and specific depiction of death and dying. While Lottie and Herbie experience the heartache of losing a loved one, they comfort each other and find strength in remembering Aunt Mattie and continuing her tradition of picnicking on Pudding Rock while eating Mattie's signature sandwich: peanut butter and jelly with bananas. A wonderful addition to collections on death and grief for children." 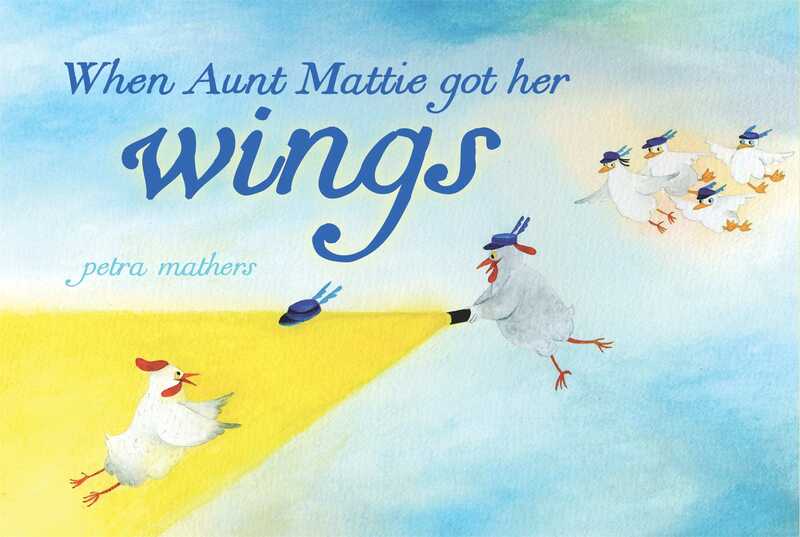 "For its wistful yet whimsical and deeply comforting description of grief, June's Sentence of the Month goes to Petra Mathers for this line from When Aunt Mattie got her wings: "Maybe our hearts ache because Aunt Mattie is moving in."" * "Lottie the hen must say goodbye to her beloved aunt Mattie in this gentle story about loss, grief and friendship. . . . Mathers brings meaning to the clinical and unfamiliar. Here, these moments are precious and valuable. Throughout the tale, Lottie's friend Herbie is a comforting presence. His innocent perspective allows even the very young to grasp complex concepts. . . it's clear his friendship and support make this difficult time bearable for Lottie. . . . Watercolor illustrations, painted in mostly square panels and organized like an old newspaper comic strip, are earnest and appealing. 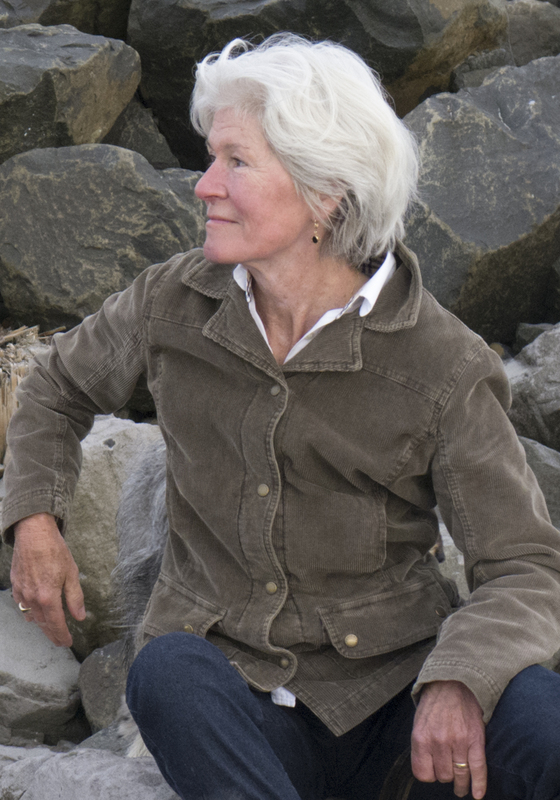 Lucid and insightful, Mathers presents death and grief as natural processes with compassion and great care." phones her friend Herbie the duck when she learns that 99-year-old Aunt Mattie is very ill. Herbie gets it.